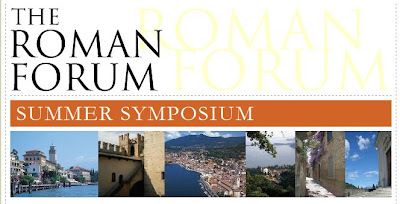 Ten days by Lake Garda, stimulating lectures from orthodox scholars, sung Mass according to the usus antiquior every day - the annual Symposium of The Roman Forum is a treat that one year I will take advantage of. This year it is from June 30 to July 11 with the theme 1914-2014: Have We Learned Anything From This ‘Hundred Years’ War’? The Roman Forum website carries full information, including the news that the team this year includes Fr John Hunwicke of the Ordinariate of Our Lady of Walsingham, whose erudite blog Fr Hunwicke's Mutual Enrichment deserves attentive reading.